Naylor Organics is a family owned farm located in the central San Joaquin Valley of California. We specialize in stone fruit, particularly peaches and nectarines. Mike & Nori Naylor have farmed since 1979. Mike’s father and grandfather also were farmers. 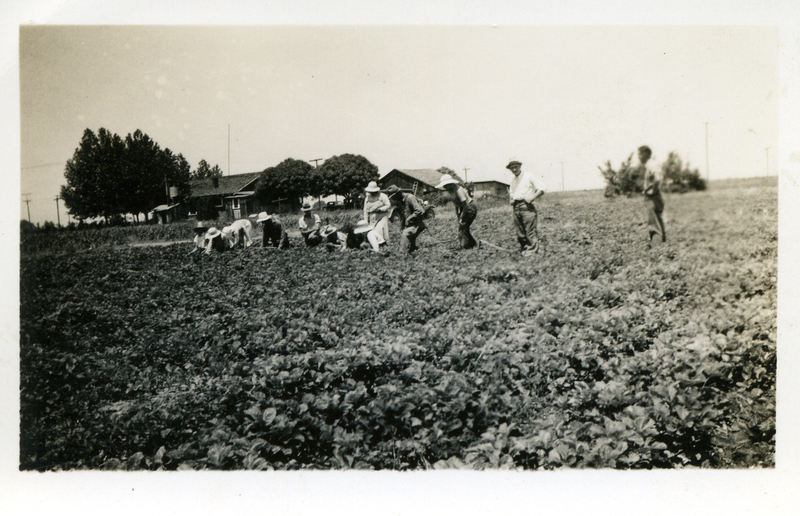 His grandfather grew strawberries in the mid-1930s on a nearby piece of property. He eventually planted Nectar peaches on the land. He sold them locally and delivered fruit to Cayucos, on the coast, where they had a second home. Mike’s grandfather was quite a character. He gained the title “Strawberry King” in the area. When other strawberry growers tried to undercut his prices, he undercut the other guys’ prices. This continued until the other growers came and asked if they could work together. The next year, grandpa was the only one growing strawberries in the area again. Everyone knew that Naylor’s strawberries were the best and worth the price. This attention to quality was applied to growing peaches as well. Nectar peaches are juicy and aromatic and big. 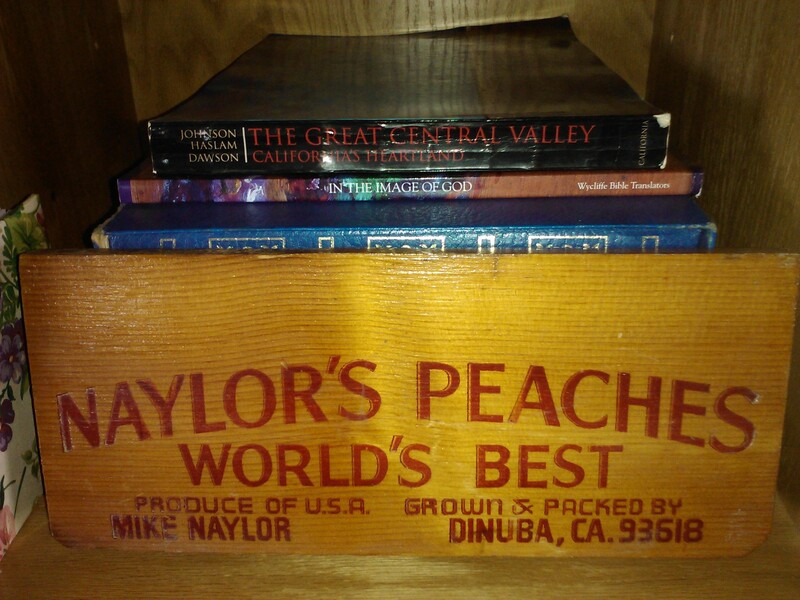 Grandpa Naylor chose the label “Naylor’s Peaches – World’s Best” for the wooden packing boxes. The Naylors continued to use that label until the 1990s. The label was changed to Naylor Organics because they were now producing nectarines and plums as well as peaches, so Naylor’s Peaches no longer fit. They also became certified organic at that time and Naylor Organics reflected that change as well. Nori shares some of her story on the About page of this blog. Mike was born into the farming life. His mother worked as an RN to support her husband’s farming habit. Mike was the youngest of four children. Two became farmers and two went into the medical profession. Mike remembers getting up early to go to work for his dad. No Saturday morning cartoons, no watching TV after school, no sleeping in after late night partying as a teenager. Instead, lots of exploring, learning to shoot a gun, raising pigs for 4-H projects, and earning extra money by cutting grapes for raisins. After Mike and Nori were married, Mike worked for the California Division of Forestry as a firefighter for several years and later as a fire apparatus engineer (he got to drive the firetrucks). Nori was attending University of California, Davis during this time. When Mike’s father could no longer handle the responsibilities of the farm on his own, Mike and Nori moved back to Mike’s grandfather’s farm to help. They lived in his grandparents’ house. The farm had Emperor grapes and Simka plums when they purchased it in 1979. Their first son was born that year, too. Hard work is what farming is all about. Keeping up with consumer preferences and demands is another challenge of farming. When the Emperors were no longer making money, they pulled them out and planted peaches and plums. Mike drove back and forth from their farm to his dad’s farm daily during the summer to keep up with the work. Mike also did his own marketing and spent hours every week on the phone. Nori handled the paperwork and took care of their baby. She also sold Tupperware to supplement the income. With the passing of Mike’s father, Mike and Nori leased the ground from Mike’s mom for several years. They converted to organic practices in 1984 and were certified organic in 1990. Eventually they purchased the farm as a partnership with one of Mike’s brothers (the doctor, not the farmer). Mike and Nori have been sole owners since 2005. They’re still smiling after all these years. Mike, like his grandfather and father, prides himself in producing the best-tasting, highest quality fruit possible. His attention to quality has been recognized by retailers and consumers as well as other farmers. 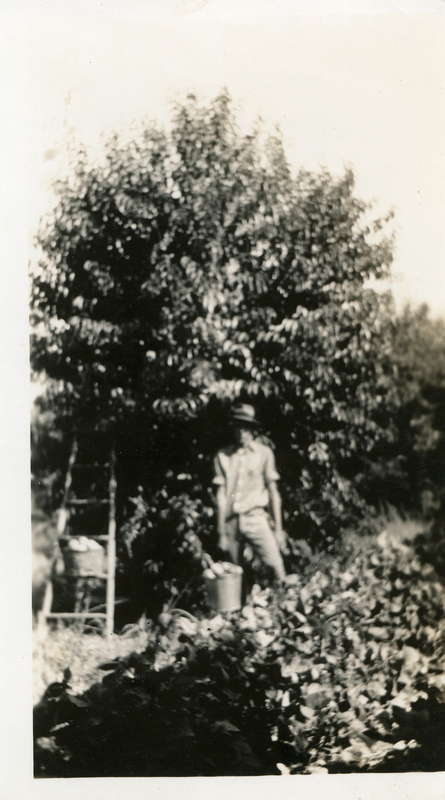 Also, like his grandfather, Mike decided to plant a variety of nectar peaches that he named Goldline peaches. The name comes from the unique orange strip on the suture that contrasts with the white flesh of the fruit. They grow as big as grapefruits (see photo) and are juicy and aromatic. They are the last of Naylor’s fruit to be picked in the season and usually ripen in late July to early August. The Goldlines come with a disclaimer. Warning! Addictive behavior has been observed in consumers of this product. Symptoms include; excessive drooling, juice-stained clothing, and obsessive thoughts such as, “When will the Goldlines be ready?” To get email blasts from the Naylors regarding what fruit is coming up and where to find it, send your contact information to them at naylor.organics@gmail.com. Happy eating! Did you find a black charger under the single bed inn the bunk house? Sorry, we did not find a black charger in the Bunkhouse Room. You could come for a farm stay and get all you can eat. 😉 Just a thought.